Massive growth. That’s our prediction. 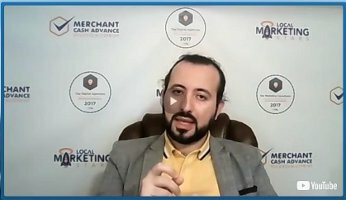 That probably sounds a bit simplistic, and we’ll outline our justifications in the following paragraphs, but the Merchant Cash Advance industry is primed for rapid growth. Fact is, demand for non-bank loans and funding opportunities has reached an all-time high. With the American economy enjoying solid growth, countless businesses are looking to expand their operations, and they need funding. Banks, however, often refuse to work with small businesses. 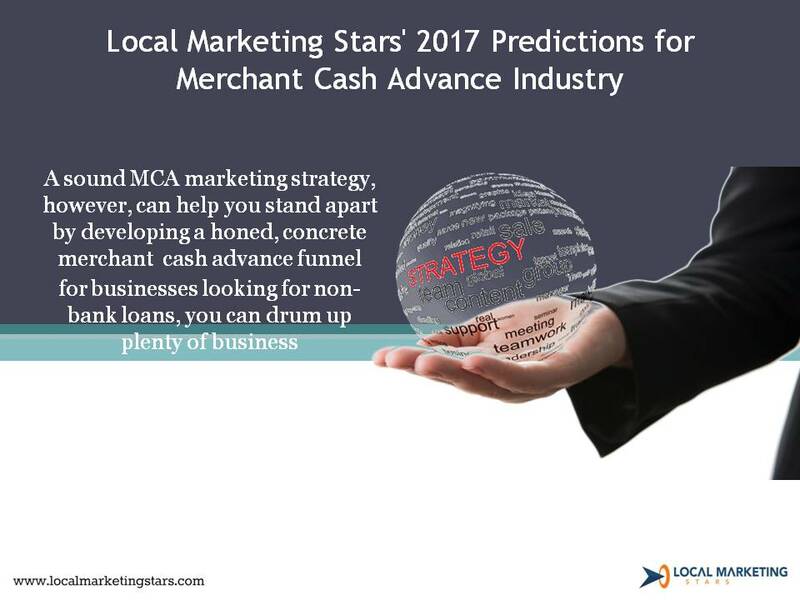 Their loss, however, will be the merchant cash advance industry’s gain. The merchant cash advance industry is relatively young, having been born back in 1998. The industry was a response to a decline in small business lending from traditional banks, and thus the growth of demand for non-bank loans. 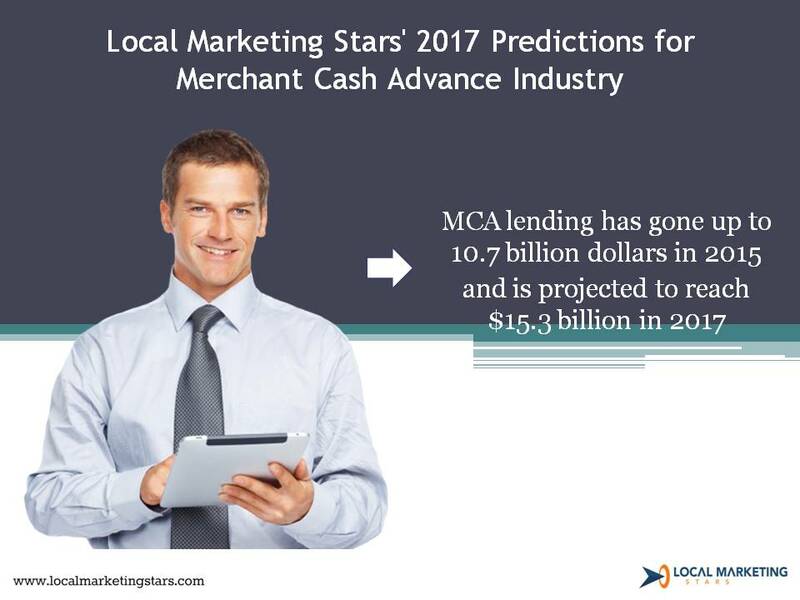 In less than 20 years, MCA has gone from $0 to $10.7 billion in 2015, and is projected to reach $15.3 billion in 2017. Competition for these dollars, however, is intense with 20,600 MCA companies competing for a large but not infinite pool of MCA leads. The average deal isn’t small either, with each loan being worth about $25,000 dollars. When businesses take out loans, it’s not because they want to buy new curtains, but because they have to make a big investment. Thus, they need big loans. For lenders, this makes the deals and potential profits far more substantial. As big as the MCA industry already is, it is going to become much, much larger. Why? 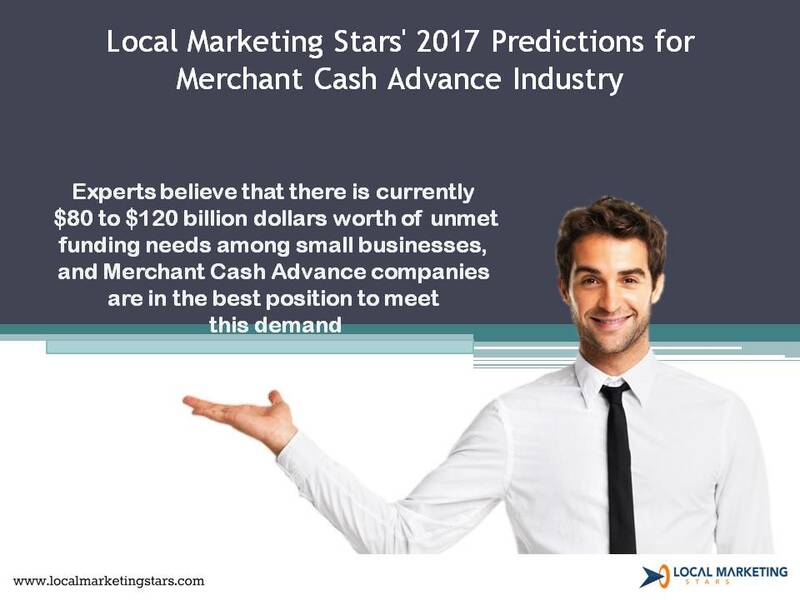 Experts believe that there is currently $80 to $120 billion dollars worth of unmet funding needs among small businesses, and Merchant Cash Advance companies are in the best position to meet this demand. Consider that there are some 5.7 million small businesses in the United States, and approximately half of them have funding needs and have applied for some type of credit. Yet even among those who were approved for funding, 70% didn’t lock up the full amount of funding that they needed. Thus, even many of those companies that do secure money are still potential customers for MCA lenders. Further, another 16% of would-be borrowers never even bothered applying. Why? Because they feared rejection. Nobody enjoys being turned down, and when it comes to small businesses and startups, rejection rates can be quite high. Why? No credit history, and banks tend to be risk adverse to a fault. That’s where merchant cash advance lenders can come in. They can tap into the tremendous amount of unmet demand for business financing. These 16% of would-be borrowers, by the way, would make excellent MCA leads. Confused? We’ll explain. Of course, recognizing the tremendous opportunity presented by the merchant cash advance and alternative loan industry is easy. Question is, how do you tap into that demand? 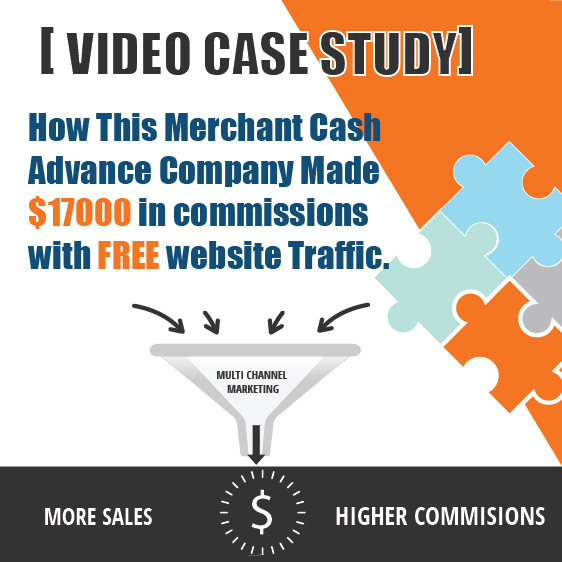 The demand is there, but actually generating warm MCA leads takes some effort. 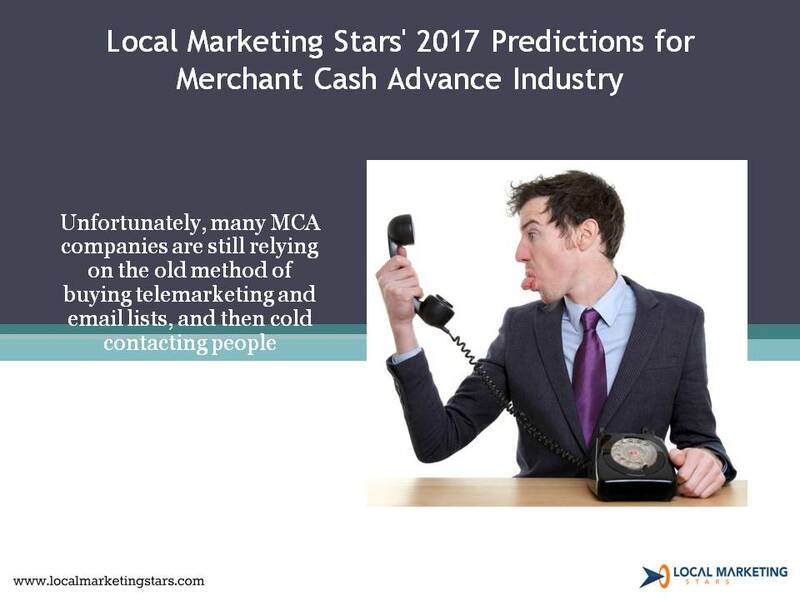 Unfortunately, many MCA companies are still relying on the old method of buying telemarketing and email lists, and then cold contacting people. These methods can generate some MCA leads, but the costs are high and the results are often poor. Luckily, potential borrowers spend on average 24 hours or more conducting research before taking out a loan. For lenders, this presents an opportunity to generate high-quality, warm MCA leads. By setting up a top notch Internet marketing strategy, you can hook them during the research process. Basically, you’ll build a “funnel” and then draw people in. While the MCA industry is huge and fast growing, there is also a lot of competition. This means the best companies will be able to lock up huge profits, while those who fail to compete will be pushed out of the market. A sound MCA marketing strategy, however, can help you stand apart. 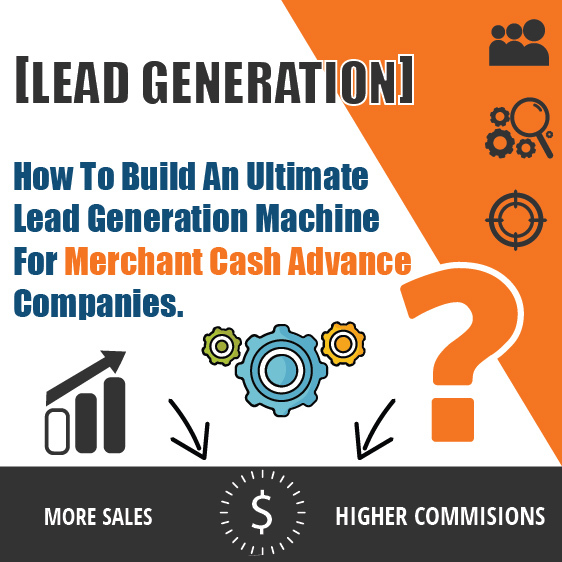 By developing a honed, concrete merchant cash advance funnel for businesses looking for non-bank loans, you can drum up plenty of business. 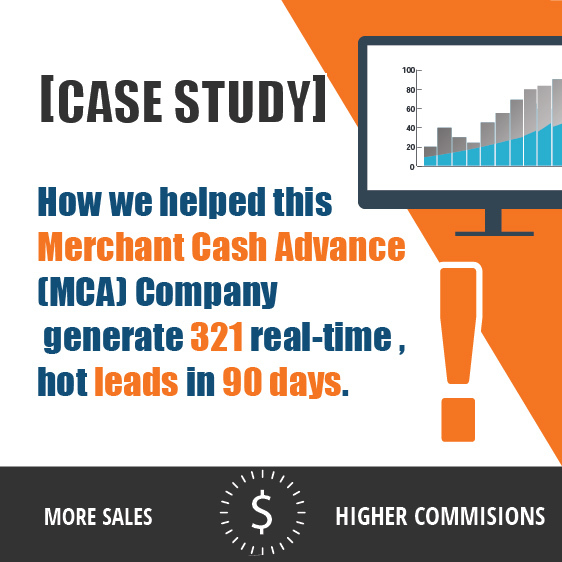 [Case Study] How we helped this Merchant Cash Advance (MCA) Company generate... Merchant Cash Advance Industry has been going through a silent shift.